Ventura County has excellent opportunities for cyclists – whether you prefer biking on road, bike path, or dirt; there are plenty of options. The climate is great for cycling year-round. Also, the varied terrain of Ventura County means there is a ride for a tastes and abilities. There are a lot of great ride routes that cyclists might want to do on their own. Check out our “Self-guided” ride suggestions below. The routes start at locations that will be known to visitors, such as the Ventura Mission or Libbey Park in Ojai, and have parking and hotels. However, one can endlessly modify these rides to suite your interests. This loop ride begins at the San Buenaventura Mission in downtown Ventura. 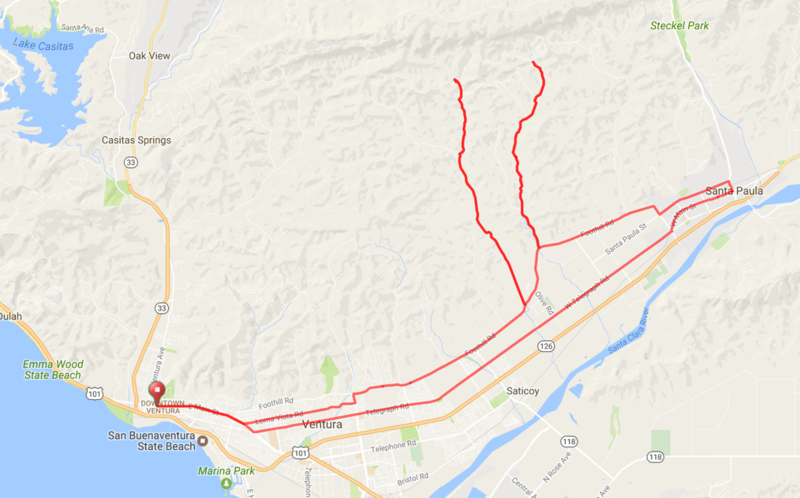 The route from Ventura follows Foothill Road and has two "up and back" canyon options: Aliso and Wheeler Canyons. Both Aliso and Wheeler are gentle climbs through a quiet landscape with mountain views. ​Downtown Santa Paula has historic buildings, restaurants, the Ventura Agricultural Museum, and life-sized murals of the town's history on many buildings. ​Cycling and Birdwatching are a great combination and the City of Ventura is an excellent location for both activities. This 20 mile out-and-back route goes to coastal locations that are excellent for birding year-round. 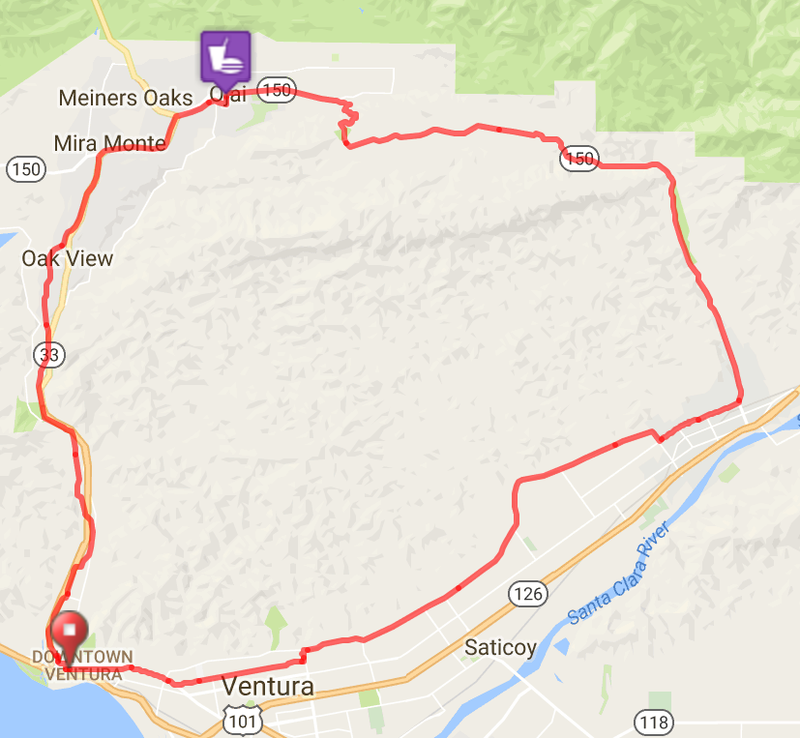 Starting from Downtown Ventura, the ride leads to the Ventura Rivermouth, Ventura Pier, Marina Park, Ventura Harbor and Sewage Ponds, and McGrath Beach State Park. This ride is an opportunity to explore the incredible backcountry of Ventura County. Highway 33 is entirely paved. There is no dedicated bike lane. Generally traffic is fairly light. ​The route from Ojai to the Rose Valley overlook (approximately 15 miles from Ojai) is a steady climb to an overlook that allows one to look down on the road they just traveled. This is a possible turn-around. Or, continue on with your first downhill in many miles and then resume a gradual climb as you continue to the Pine Mountain Pass.